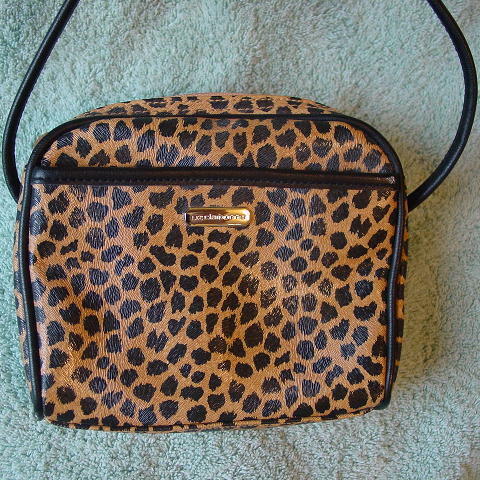 This cute little polyvinyl purse is by Liz Claiborne and has an animal print pattern. It has a nice black fabric lining, a top zipper, and two open fabric lined exterior open compartments. 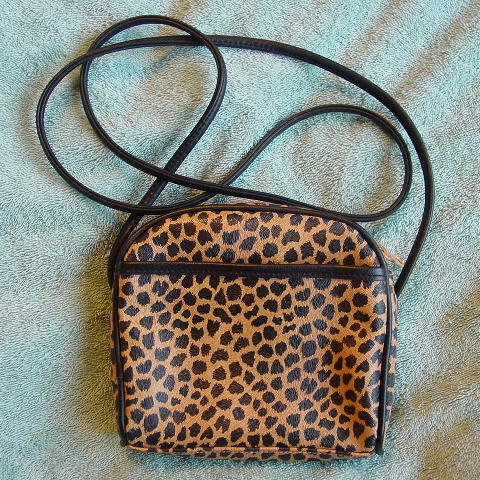 There is a 49" long black shoulder strap. It's from a stylist's inventory, and was used in a photo shoot.